The family of Robert William Fisher (Bob) are saddened to announce his death on April 6, 2019 at the Rosetown Health Centre. He was born October 2, 1925 in Rosetown to Jacob and Amelia (Molly) Fisher. He attended school in the Springville area south west of Rosetown and then moved to McGee district and attended Bellnamoon School. His schooling was limited to a small country school as he had to help at home a lot. He worked on farms in the Rosetown area and then began farming and had cattle south of Rosetown. In the winter he would venture off the farm to obtain employment. He worked for Arrow Transfer in Vancouver, then ended up working for an American company building smoke stacks. He worked on 3 different smoke stacks, 1 was at the General Hospital in Vancouver (210 feet high), 1 for the city of Winnipeg and 1 for Canada cement in Exsha Alberta. The last out of province employment was in Nelson, B.C. when he worked in a gold mine when gold was $35.00 an ounce. He was caught in a rock slide that crushed his ankle and ended up in the hospital for months. In the early 1950’s Saskatchewan started a drilling project exploring for oil, gas and potash in various locations. They hit oil north west of Swift Current, a gas well at Darcy and potash by Quill Lake. It was an American company from Texas and it was not set up for the Canadian winters so it took some time to get up to our standards. He worked for Thompson construction building grid roads, sewage lagoons, dug outs and drainage ditches. They hauled logs with cats across La Ronge Lake. The Government built a new highway from south of La Ronge to Hanson Lake through bush and muskeg. He worked on the drag line and drained the muskeg ahead of the dirt crew. He also drove the pilings for the bridge across the south Saskatchewan river on Highway 4. He then sold the drag line and bought a gravel truck and hauled gravel and black top for farmers and worked for Mobile Paving of Swift Current. When he retired, he worked for the Rosetown Housing Authority doing maintenance for 2 retirement buildings and 2 condominium complexes retiring in 2000. He always said that he didn’t work a day that he did not love going to work. He remained in his own home until he went to Eston in August and then to Elrose in October. He enjoyed living in Elrose Lodge and all the fresh cookies he was able to have. In 1961, he married Agnes Isabella Cheyne and raised their daughter Mary Pat in Rosetown. They enjoyed travelling, playing spades, checking out the casinos. Bob would plan day trips to discover Saskatchewan but they would all be near one of the casinos. He always had a smile on his face, not sure if it was because he was mischievous or just happy. He loved to tease those he knew he could. He always had a toothpick, a lifesaver and a ball cap. Bob will be remembered by his daughter Mary Pat, special niece Sharon, his chosen family Wendy and Dave Brigham, special friends Crystal Story and Kim Askin, sister Eleanor, in-laws June Cheyne and Melvin Cheyne and numerous nieces and nephews. He was predeceased by his wife Agnes, parents Jacob and Amelia Fisher, brothers Doug and Dave, sisters Ev and Vi and numerous in-laws. 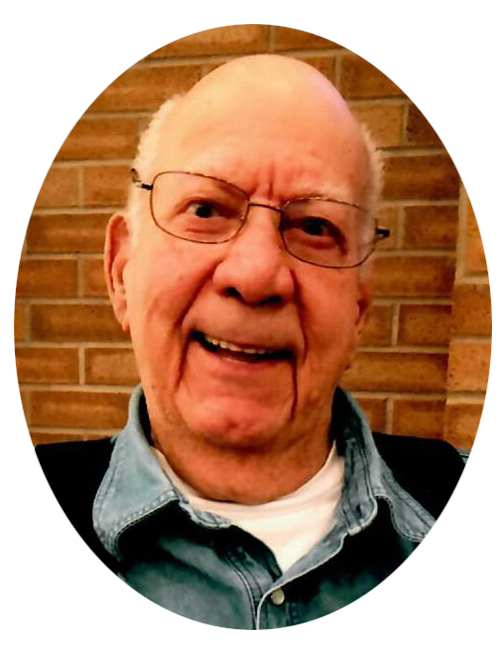 A Celebration of Bob's life was held on Friday, April 12, 2019 at 2:00 p.m. at the Rosetown Senior Citizen Activity Centre. Donations in memory of Bob may be made to STARS Saskatoon Base, Hangar 21 - 2475 Airport Road, Saskatoon, SK, S7L 1M4, the Canadian Diabetes Association, 104 2301 Ave C North, Saskatoon, SK, S7L 5X5, the Alzheimer Society of Saskatchewan, 301-2550 12th Avenue, Regina, SK, S4P 3X1 or to the Salvation Army, 339 C Ave South, Saskatoon, SK, S7M 1N5.